Poster from the First International Contest Festival Named After Alfia Avzalova in Kazan! (Missoula, MT.) - Rocky Mountain Ballet Theatre (RMBT) is going on the road again this fall to bring Montana to the world. This time to China and Russia. CHINA (September 5-September 18, 2018): as part of a cultural exchange, our RMBT is on its way to the Silk Road Arts Festival in Xian – Shaanxi Province, China. This is the result of a relationship that started back in February of 2015 when RMBT hosted the Shaanxi Performing Arts Group. They traveled across the world to share the ancient art of shadow puppetry. Now, RMBT is taking Montana to them. Under the direction of artistic director Charlene Campbell Carey, RMBT’s Montana themed ballets offer the flavor of Montana. No RMBT cultural exchange would be complete without the participation of the Native Americans. Four championship dancers from the Salish-Kootenai and Blackfeet tribes will be participating. After the Silk Road Arts Festival, the group travels to Beijing to take their unique program to Chongqing’s Southwest University of Politics and Law and Beijing Normal University. These performances are sponsored in part by the Confucius Institute at the University of Montana under the direction of Suhan Chen. RUSSIA (October 6,-October 26, 2018): RMBT has received a U.S. State Department grant to participate in the first Alfia Avzalova Festival in Kazan, Russia. RMBT was the only US arts group to be invited to perform at the festival. In addition to Montanathemed ballets and championship Native American dancers, this diplomatic,cultural tour will include renowned singer Suzanne Carey, a native Montana who now stings professionally in Vienna, Austria. See photos from our past trips! Rocky Mountain Ballet Theatre is proud to announce it will be bringing Ballet Beyond Borders back to Missoula in January 2019. The Ballet Beyond Borders (BBB) experience is a unique combination of dance and diplomacy. This will be the fourth world-class international dance competition and diplomacy conference that RMBT has brought to Missoula. Participants come from all over the world to perform, exchange ideas, make new friendships, and cement old ones. 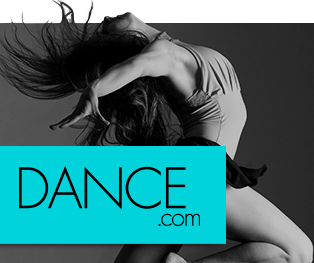 BBB has launched careers by offering opportunities to dancers who might otherwise have had none. BBB brings films, authors, dancers, academics, artists, guests, and diplomats into our wintery west. BBB strives to introduce the world to Missoula and Missoula to the world to increase mutual understanding and global harmony. “Rocky Mountain Ballet Theatre’s mission is to give our dancers performance opportunities around the world, while also bringing the global community back to Montana. These cultural exchanges are crucial to both our understanding and our positive participation in the global community.” Charlene Campbell Carey, artistic director for Rocky Mountain Ballet Theatre and President of Ballet Beyond Borders.